Today I am going to share with you one of the cool trick that I love, and I hope you find it interesting too. 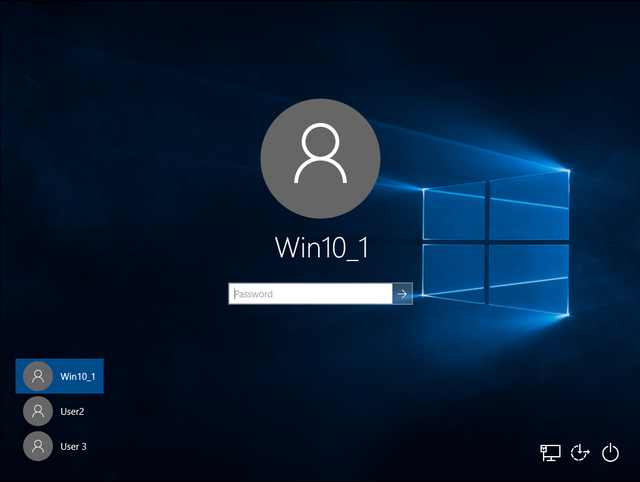 If you are one of those users who loves to personalize/customize your windows 10 computer, this blog is for you. Every-time a new operating system is released from Microsoft, we wonder what changes have been made. We always expect for a new cool feature that they might have added to the system. Sometimes we are disappointed that they added something we feel that it is not necessary at least on our own opinion. 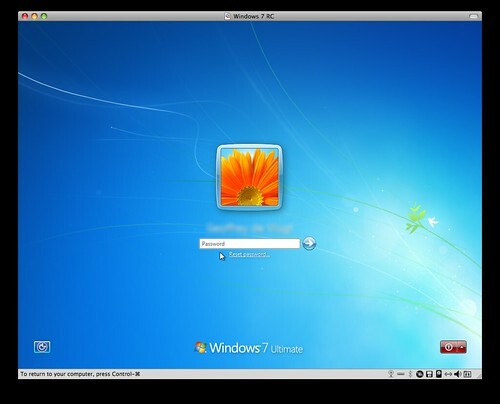 In the previous version of windows, we see the login screen right away after the computer pass through the POST(Power-On Self-Test). Windows 7 login screen, you only see this also if you have set a password for your computer. 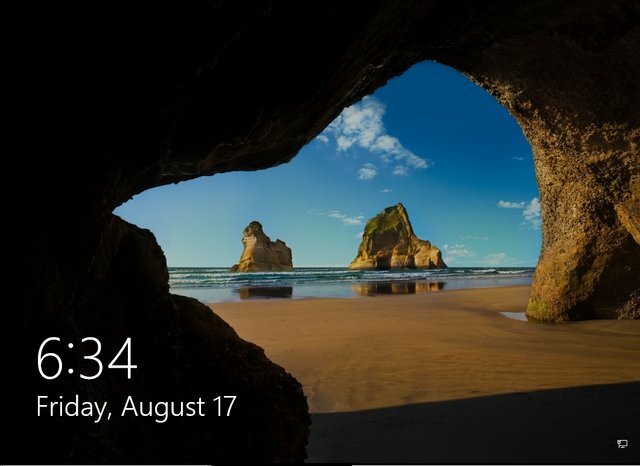 Now there is a new feature in Windows 10 which is the lock screen, where you still have to swipe it upward, click it or use the ESCAPE key on keyboard before you can login. Well, this feature isn't new it was there already since windows 8. Microsoft did not make it obvious how to disable this if in case a user simple don't like it. I know it won't take a lot of energy to get rid of it before I login but I just need it to not display at all because I don't find it useful at least in my terms. Some version of windows 10 have settings where you can disable it but I did not include it here. The solution that I am going to share with you will work on any version of Windows 10 anyway. Behold the lockscreen! :D But yeah, I don't like it so let me share with you how to get rid of it easily if you feel the same way :) or if you just want to experiment. I also included here another file that you can just click so you can re-enable it if you love this little feature. 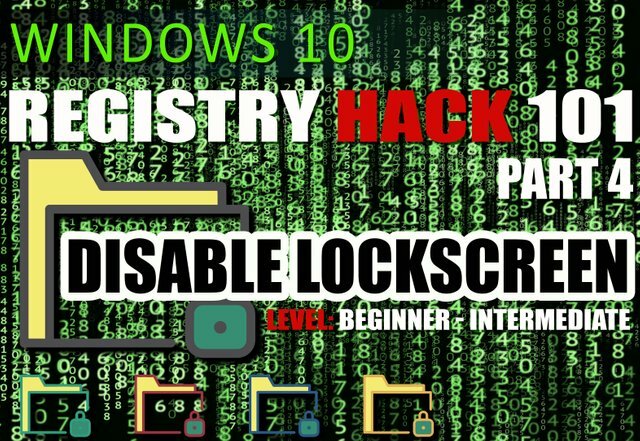 In my previous blog about Registry Hack 101, I wrote all the steps on how to do things inside the registry editor, but this time, I already created the registry file itself, so that users who don't need to be so technical to do this, will be able to make use of the trick. They or you can simply click to install the file. 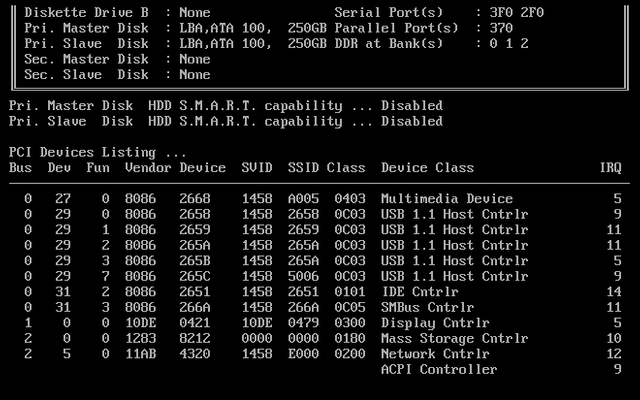 For advance users, you already know how to check the location of the keys inside the registry, you can check my previous blogs that I listed above to learn basic information about the registry editor. 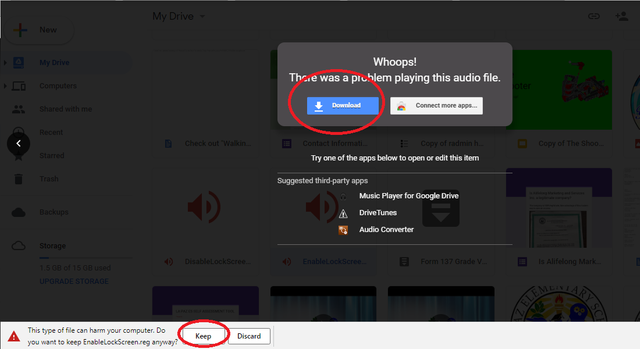 Weird but google detect the file as an audio file. hahhaha (LOL) just go ahead and click the download button. Below is the screenshot if you will try to play the file, it won't play because google is just being funny about this. :D but you can just click the download button. You will see a warning at the bottom that LOOKS ALARMING! but you can just ignore it to download, registry file is considered sensitive and tweaking the registry can harm the computer if we don't know what we are doing. In fact, virus-makers, attack the registry so that a technician will prevented for manually removing them. Here is how it looks like, when you save it on your desktop. 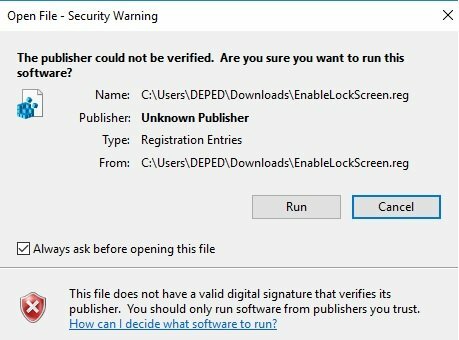 Just click on it, to disable the LOCKSCREEN you might be prompted with the user account control or the following dialog boxes, just go proceed by clicking YES and AGREE with these dialog boxes. And this is the last notification if you have successfully installed it. As simple as that. 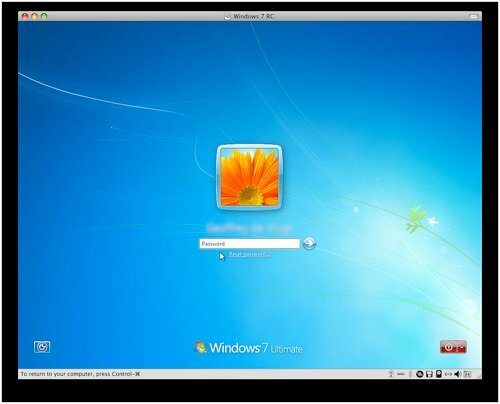 :) Try now to log-off/restart or lock your computer by pressing the Windows Key + L You will not be prompted with the login screen right away instead of lockscreen. If you want to re-enable the lockscreen here is the link of the registry file. I hope that this has been interesting and informative for you, and I'd like to thank you for reading! You may check out my Microsoft Certifications here. Please support @surpassinggoogle, you can vote for him as a witness or you can set his username as a proxy just like what I did. Disclaimer: While I guarantee that the files that I shared here doesn't contain anything malicious or anything harmful that may damage your system. One rare possibility is you may encounter incidentally a separate technical issue with your computer while doing this, which I am not responsible for.